It’s probably the last thing you’d consider using when facing a zombie attack, but plants may actually do the trick! They do in “Plants vs Zombies”, and you’ll find yourself tossing an array of foliage at your mindless pursuers. Self-defense has never been so Earth-friendly as you hurl everything from snow peas to walnuts into the fray. However, if you’re looking for a way to spice up the action, there are several cheat codes that can give you some advantages as well as give your enemies a new wardrobe. These cheats are designed to give you a few laughs and change things up a little as you play. Their future’s so bright, they’ve gotta wear shades, apparently. If you’d like to see all of your former neighbors and relatives (now undead) roaming the game with a righteous set of shades, try this code out. Will they suddenly become a little cooler? Probably not, but they’ll definitely look good doing it. Giving the phrase “pushing daisies” some traction here, entering this cheat will litter your screen with daisies. 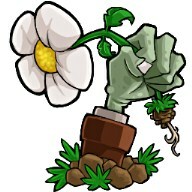 Anytime a zombie dies, a daisy will pop up in that spot. Now, isn’t that a nice consolation to being a dead (again) zombie? Is your zombie pushing up daisies? They may not have “Thriller” mastered quite yet, but these zombies will cut a rug with the best of them when you enter this cheat. Sure, they aren’t as mobile or graceful as they used to be, but these re-animated corpses sure know how to have a good time. They aren’t going to win any gold medals at the Goodwill Games Track and Field event, but there’s a way that you can make your zombie counterparts walk even slower. Using this code can slow the game down, and give you maximum zombie-killing potential. Just in case you felt like you, or your zombie enemies, weren’t getting enough sun, try this cheat code on for size. It’ll give you infinite sunlight, which can be a very nice change. After all, you can explain while they’re trying to eat your brain that sunlight in moderation is actually good for them. Getting tired of the same old chant? All they want is brains, we know already! Try this code on for size and toggle what they say to you. Finally a little diversity, right? They aren’t much for conversation, so give them a break. Next post: What is the Most Efficient Way to Kill a Zombie?